This is how this post was born: unable to bear the thought of facing a full 8 days without non-kosher desserts during Passover, I set out to make Momofuku Milk Bar's Crack Pie, but realized it contained oats. Then I got the brilliant idea to make Milk Bar's Compost Cookies and substitute matzoh for pretzels, but that recipe still called for flour. 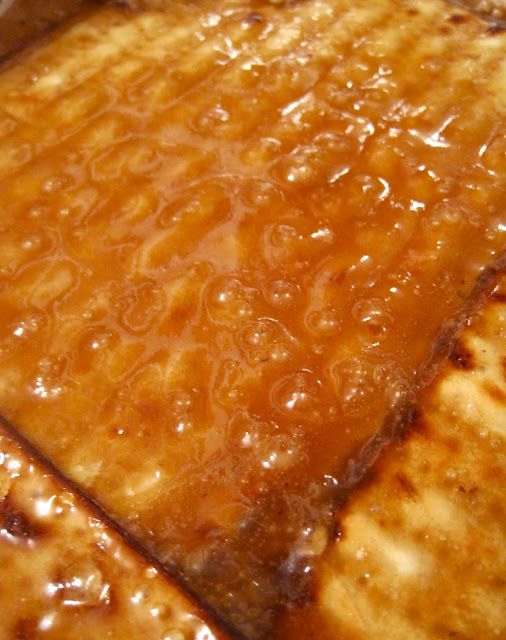 In a frantic Google search I somehow managed to combine the terms "matzoh" and "crack", and ta-da!!! I introduce to you your new addiction, Chocolate Caramel Crack(ers). Smitten Kitchen to the rescue, I should've known! This is literally one of the best things I've ever eaten. Each cracker is so perfectly crunchy yet chewy and the flavors evolve seamlessly- first matzoh crunch, then melt-in-you-mouth caramel, followed by sinfully rich chocolate with a burst of sea salt- then the nuts. Deb from Smitten Kitchen puts it perfectly: stored in a container, "it should keep for a week," she says, "but I've never seen it last that long." Why these crackers bear the addictive attributes of crack: 1. They combine sweet and salty. 2. Chocolate caramel sea-salt never fails- (I cite Butter Lane's sea-salt chocolate frosting shot here as evidence). 3.Smooth layers of caramel and chocolate are sandwiched between a matzoh base and crushed pecan/almond top to create a perfect harmony of chewy and crunchy. I think the caramel in this recipe deserves its own paragraph. I don't know if it was from toffee deprivation during my braces years, but I literally could not get enough of the delectable caramel gooeyness. Who knew butter and brown sugar yielded such an amazing result? Watching the caramel bubble as it formed (see pictures below) and then cool into the perfect thickened consistency sent me into a wide-eyed frenzy of excitement. My taste buds were in love. Extra sea salt for sprinkling (optional) but HIGHLY recommended! Remove from oven and immediately cover with chocolate chips. Let stand five minutes, and then spread them evenly across the caramel. An offset spatula works great here. If you’re using them, sprinkle the chocolate with toasted chopped nuts and/or sea salt. (The sea salt is great on matzo. On Saltines, it’s really not necessary.) Once completely cool - I sometimes speed this process up in the fridge, impatient as should be expected in the face of caramel crack(ers)- break into pieces and store it in a container.